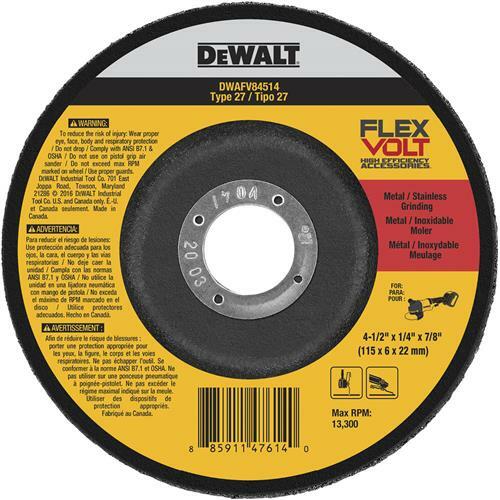 This type 27 metal grinding wheel is made of high performance ceramic grain that stays sharp for fast material removal on your stainless steel grinding applications. The high density grain concentration helps for fast cutting and low heat build up with a max of 13,300 RPM. 4-1/2" diameter, 7/8" bore.